Zakk Wylde’s Black Sabbath cover band, Zakk Sabbath, is really taking off. The band, which is fronted by the former Ozzy Osbourne guitarist and current Black Label Society, has been playing to packed clubs around the U.S., and now, the guys have captured that vibe on video. 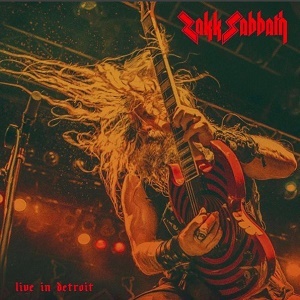 Zakk Sabbath will unleash a new live vinyl LP called “Live in Detroit” on June 16. The band recorded the record in October of 2016 at The Fillmore in Detroit. A live video of Zakk Sabbath performing “War Pigs” is currently streaming via YouTube. In other news, Zakk Sabbath will hit the road a headlining tour beginning May 18 in New York City. Zakk Sabbath includes Wylde, as well as Ozzy Osbourne bass player Rob “Blasko” Nicholson and former Queens of the Stone Age drummer Joey Castillo.